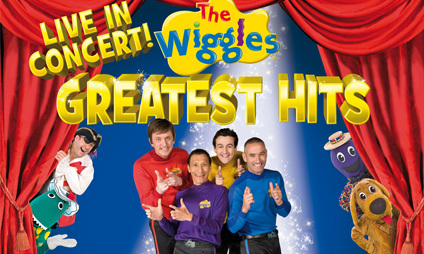 The Wiggles are very proud to be bringing ‘The Wiggles Greatest Hits! To The Royal Theatre Castlebar on Friday 20th May 2011. In 2011 the band will celebrate their 20th birthday so with twenty years of hits such as Hot Potato, Fruit Salad, Rock A Bye Your Bear and Toot Too Chugga Chugga the show will be jam packed with audience favourites! This is a show for the full family and special family rates available for this show. Join Jeff, Anthony, Murray and Sam as well as our Wiggly friends; Dorothy the Dinosaur, Captain Feathersword, Wags the Dog and Henry the Octopus for this spectacular production! Get your tickets now, as they'll sell like hot potatoes!